Looking at Cherry Tree symbolism reveals some underlying continuity about its basic nature being one of new beginnings and revival. This connotation leans heavily on the springtime blossoming of the Cherry Spirit, releasing its pleasant aroma to the world as a gift. Sadly for humans, the flowers have a very short life, which gives this tree the additional meaning of life’s shortness. The Cherry teaches us to value each moment or we’ll miss those beauteous moments in a blink. Cherry trees have special significance in Japan. Here the tree is called “sakura”. As the trees begin blossoming people hold a special festival for viewing. In its original form Hanami was a time for Buddhists to meditate on life’s nature, but over time it became more of a celebratory holiday with family, friends and favorite foods. Cherry trees were also a symbol of the ancient Samurai who knew their life may be cut short at any moment. This association continued into World War II as a symbol of the Kamikaze. Artistic renditions in Japan and China often show the Ho-o bird, a type of Phoenix surrounded by a bed of Cherry blossoms. This bird brings the message of justice and fidelity and is a messenger of the Sun who appears at important beginnings. The lovely contrast of death and renewal is impossible to overlook in the carvings and paintings. Today, the Cherry tree remains a reminder of life’s preciousness in Japan. It also represents spring and innocent pleasures. By comparison, in China Cherry blossoms reflect the ultimate in femininity, woman’s beauty and sexuality. The fruit of this Tree Spirit has emblematic ties to the elixir of life that gives the Gods their immortality. In the Human realm, the juice symbolizes the immortality of our soul and reincarnation. Some of this implication has roots in a natural cycle for the cherry tree – namely spreading thousands of seedlings as if to ensure its continuance. Psychologically and metaphysically red is considered a warm color. In China it is a fortunate hue used to welcome luck and prosperity into the home by painting the front door red. As the color of love, Cherry Spirit is quite the romantic. This tree also bears red’s vibration in its capacity for healing, energizing, joy, vitality and desire. A blossoming cherry tree in your dream represents life’s sweetness and some potential good fortune coming your way. It may also be a gentle suggestion from the Cherry Tree’s spirit telling you that not everything in life is serious and solemn. Remember that this tree’s motto is: Life is a bowl of cherries – eat them and enjoy! You can learn more about trees appearing in your dreams in our Dream Dictionary. In the 1300s the Cherry was called Chyrimuth, which means Cherry Mouth. There is some potential here that the name connects with using cherry juice to color lips. Old French transformed this to cherise, and the Greek kerasos (both just mean cherry tree). Cherries have pain relieving qualities. Cherry bark has been used as a cure for insomnia and for people who are overly stressed. The wild cherry bark has additional uses in treating colds and digestive problems. It is said that if you eat a pound of cherries a day you will not suffer with gout. Bach’s Flower essences recommend Cherry plum for anxiety and fear. The aroma of cherry blossoms brings joy, prosperity, success and self-love. The Cherry tree comes under the dominion of the Sun God, Apollo, and the Goddess of love, Venus. It’s often used magically in incense to attract or strengthen love. It also makes a suitable wand for casting circles for solar-oriented rituals. There are several other deities to whom the Cherry was sacred including Mars and Artemis. Elementally Cherry wood aligns itself with Earth, so could act as a grounding and stabilizing tool. Burn Cherry on a sacred fire in workings for improve insight, when you’re facing an impasse or when you’re focused on relationship matters (including sensuality). The scent of cherry works as a unifier, so consider including it at coven gatherings. It’s said that fairies love the flowering Cherry. If you have a wish, bring a token for these nature Devas (honey is one option) and whisper your wish to the Cherry blossoms. Hint: be very specific, the Fey love good-natured jokes. 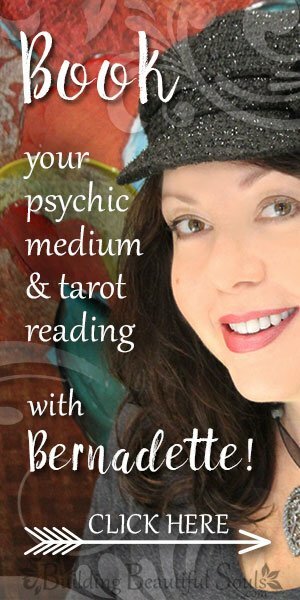 The Tarot Illuminati uses the Cherry Tree with the Princess of Pentacles. This particular card has strong Earthy undertones replete with fertile soil and nature’s bounty. It is a card of providence, manifestation and rebirth even as the Cherry tree returns to blossoming life each spring. Young ladies should count the cherrystones on their plate after eating. As they do they recite, “this year, next year, sometime, never”. The last stone tells when they will marry. Cherry trees will bear more fruit if the first cherry on a tree is eaten by a new mother. Cherry trees planted in the middle of a vineyard insure excellent wine production. Cherry branches and carvings keep evil spirits away. 5 is the perfect companion number for the dynamic energy of the Cherry tree. Like the bower, 5 has both masculine and feminine assets both daring and demure; independent but family oriented; social and sensual. 5 gives the Cherry Spirit a breadth of experiential vibrations – upon looking at this glorious tree you want to touch it, smell it, feel the bark and taste its fruit. 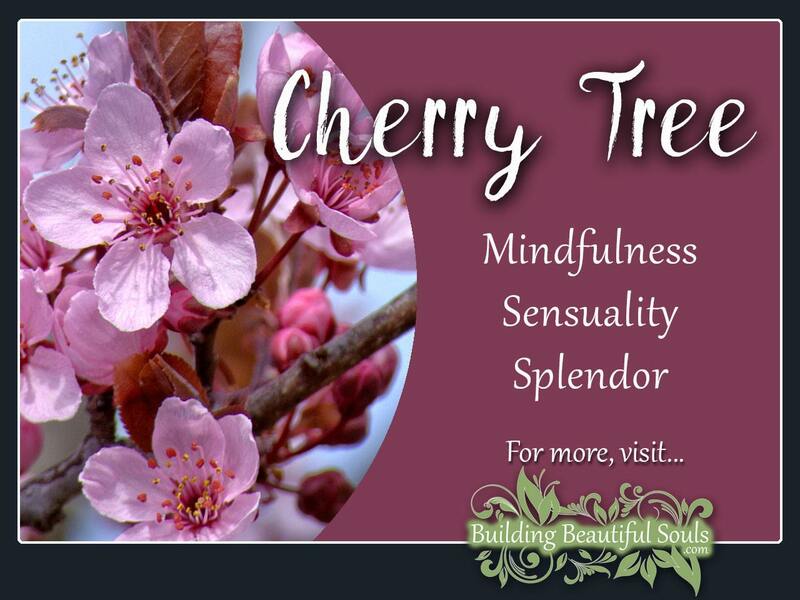 The Cherry Tree and number 5 both encourage us to live fully all five senses and go one step further into psychic awareness too. They’re message is “go for it”. Dare to dream, explore, experiment, envision – then put down some roots so those hopes and desires have a chance to materialize in the Earth Plane. Wild Cherries come from the region between the Caspian Sea and the Black Sea. They also had a strong foothold in Iran and Turkey. History records Chinese farmers enjoying cherries on summer days by 600 BCE. Islamic regions also had cherries in enough abundance to use them as part of trade routes. Theophrastus wrote about sweet cherries in 300 BCE, followed by Pliny the Elder in the 1st century C.E. as part of his epic work, Natural History. His review tells of cherries being cultivated in Italy and how the Romans helped distribute cherry trees even into Britain and France. By Medieval times the Cherry Tree was well established in Europe and became a common monastery tree. The colonists brought cherry pits with them to the New World where they thrived in the Greak Lakes Region. Upon harvest, those exploring the land in the 18th-19th century took the ever-gypsy spirit of Cherry with them – it was a good food and certainly spread this tree to various areas throughout the United States. By the early 1900s commercial cherry growing and canning began. One of the most prestigious days in Cherry Tree history came in 1965 when the Japanese government gifted Lady Bird Johson with 3,800 Yoshino trees (an ancient variety of Cherry tree). This affords the Cherry with the symbolic value of friendship and diplomacy. An English folktale turned carol begins with Joseph and Mary walking together in a cherry orchard. Mary requested some fruit. Apparently Joseph was in a bit of a tiff and told her that whomever “brought thee with child” should harvest the fruit for her. The Christ Child heard this in the womb and asked the Cherry trees’ aid. They lowered their branches and Mary proceeded to pick her own! We think Joseph slept outside the manger that night! A second story, dating to the 1600s begins in a Japanese village. A husband and wife prayed fervently to Fudo MyoO for a child. Eventually their prayers were answered with a beautiful daughter. When the mother’s milk grew deficient, they brought in a milk nurse. The child grew in loveliness until she fell ill at the age of 15. Her milk nurse, who loved her as a true mother, prayed for twenty one days to Fudo-Sama, after which the child recovered. This brought great rejoicing to the household until the nurse maid grew sick, unto her death bed. When the family gathered around her, she explained that she offered her life in place of the child with the promise, if the wish was fulfilled, that a cherry tree would be planted in a garden honoring Fudo-Sama. She asked the family to fulfill her promise, which they did. The tree grew strong and began blossoming on the 16th day of the 2nd month, the anniversary of the Nurse Maid’s death with a plethora of pink and white flowers that look like breasts filled with nourishing milk. It continues to blossom to this day.